Anna Khait is on The Palin Update with Kevin Scholla! Khait has an eclectic background that allows her to tackle the issues of the day from a unique perspective. Khait is a former professional poker player and Survivor castaway who was born in Russia. Despite the pressures from liberal bullies, Khait is a Christian Trump supporter who is committed to fighting for our exceptional nation. Even YouTube was no match for this amazing patriot. Don't miss this exclusive interview with the engaging Anna Khait on Mama Grizzly Radio. 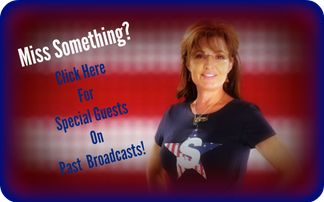 Plus, we bring you the latest Sarah Palin News and a brand new edition of Liberty & Legacy with Tamara Colbert. Tune in to Mama Grizzly Radio and hear the roar. Diana Irey Vaughan is on The Palin Update with Kevin Scholla! Vaughan is running for Lieutenant Governor in Pennsylvania. 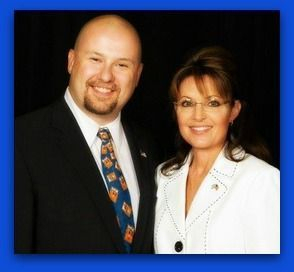 Today, the Washington County (PA) Commissioner gives us her take on the campaign issues, Sarah Palin, President Trump, her running mate Paul Mango, and much more. It's a Mama Grizzly Radio exclusive with Diana Irey Vaughan. Plus, we bring you the latest Sarah Palin News and a brand new edition of Liberty & Legacy with Tamara Colbert. Tune in to Mama Grizzly Radio and hear the roar. Donald Trump is our president-elect! 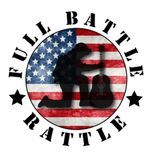 Endorsed by Mama Grizzly Radio & Kevin Scholla from the start, Trump rolled to victory over Hillary Clinton. Not unlike Palin herself, Sweet Freedom is unique. The former Alaska governor tackles personal, social, and political issues with God’s word as the barometer. In a day and age where Christianity and those of faith are discriminated against and under attack, Palin implores us all to keep our collective chin up. Sweet Freedom digs into the Bible while offering comfort to deal with the stresses of today. Written in that unmistakable mama grizzly style, the book is heartfelt, positive, and uplifting. This is a classic case of the subject matter and author making for a perfect match. 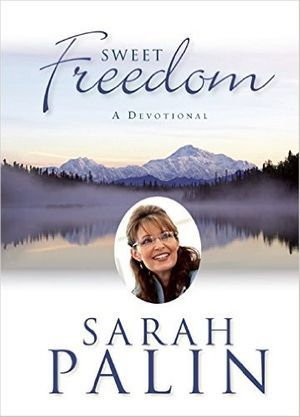 Palin has never shied away from her faith; and just like the way she has lived her life, she writes this work with a servant’s heart. Visit Kevin's Column Click Here!